I know it’s been several weeks since we’ve had an “In The Kitchen with Sharky and Jackie” but it’s been a rough March and April- with sickness and health issues. It’s been hard to try new recipes when everyone just feels rough and you having giving up and just eat bags of Oreos. BUT- we are back on it and back to making amazing Sharketo recipes on Sundays!!! I saw some stuff about this amazing book called “Southern Keto” by Natasha Newton so we got it from our local library (my wife is a librarian) and started making up some of her recipes. Normally, we find cool recipes and adapt them to what works best for us and then share those- however, this recipes is STRAIGHT from this amazing book. I highly suggest you get a copy (not a paid ad) and try some of them out- there are SO many we are going to be trying. We have NOT adapted this recipe at all- it was perfect. 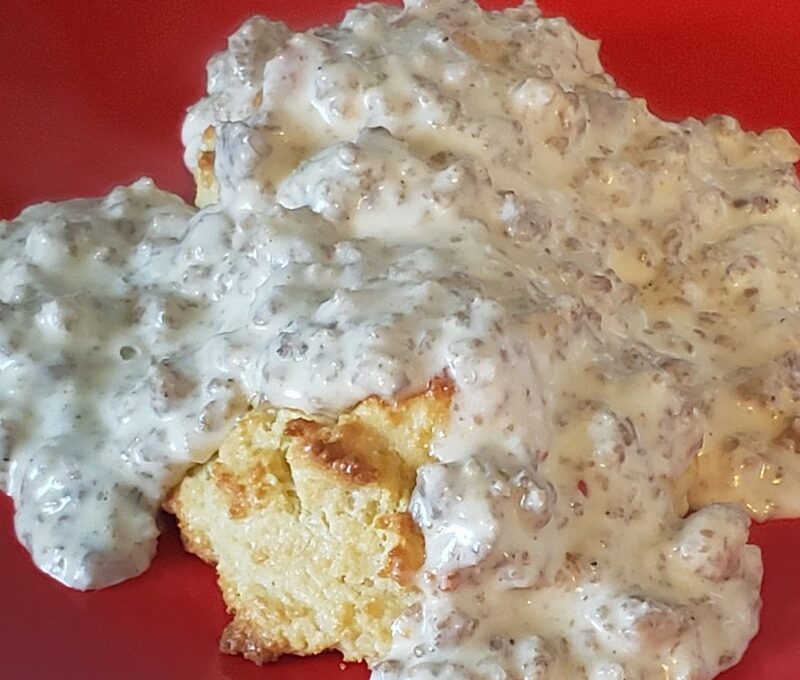 Since we did NOT like the biscuit recipe from the book, we will not be sharing it- so, instead of biscuits and gravy- you get a recipe for gravy and a link (above) for biscuits- put them together and you have an amazing Sharketo friendly breakfast. 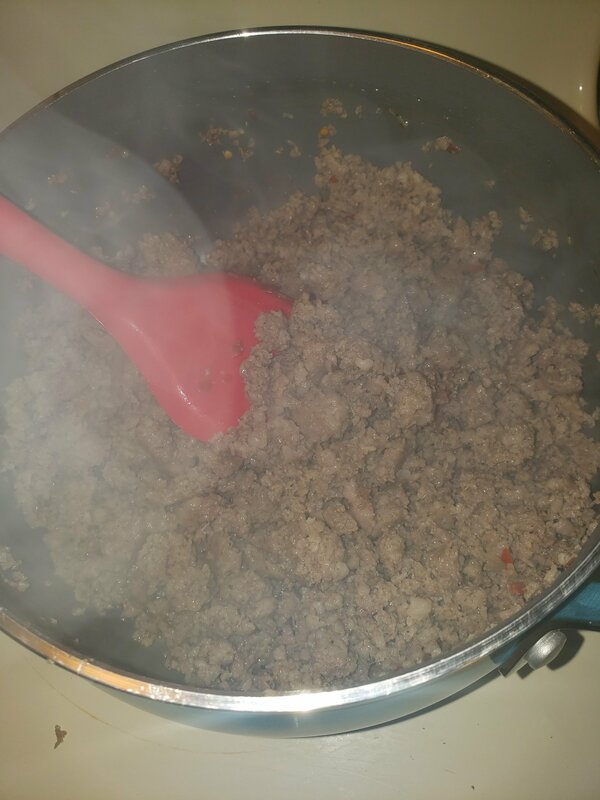 In a large sauce pan, cook the sausage over medium heat and crumble up the sausage as it cooks- for about 10 minutes or until it’s well browned. Reduce the heat to low. 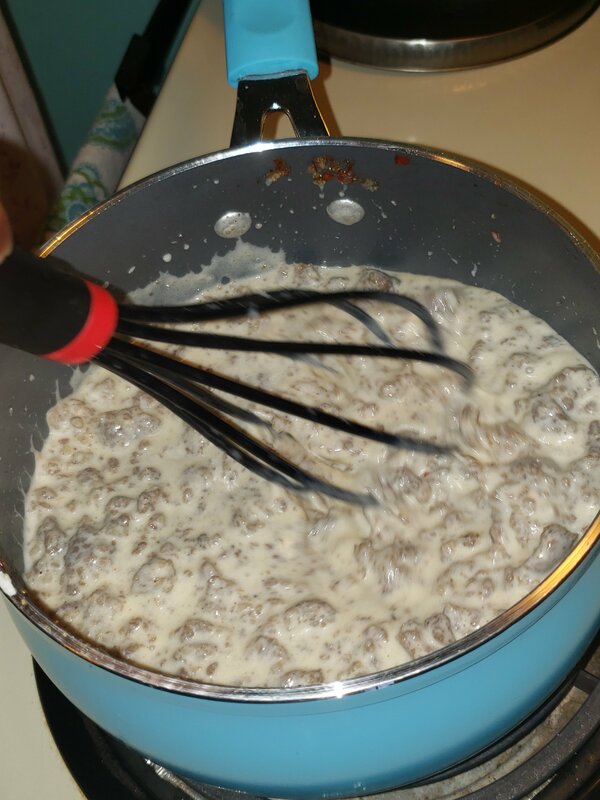 Combine the cream, water and xanthan gum in a separate cup and then pour into the sausage. Continue cooking, stirring frequently, until the gravy starts to thicken- about 10 minutes. If it starts to get too thick, thin it with some additional water- adding a tablespoon at a time. Season the gravy to taste with salt and pepper. The gravy was pretty amazing and my wife thought it was better than carb filled gravy- so that was a plus! The MACROS all depend on the type of sausage and heavy whipping cream you use.